The examiner asks a few questions in this section about friends, family, job, etc. In this section, right after your ID check is done, the examiner is going to ask you a bunch of questions about things around you, for example, your family, job, home, etc. The test taker is given a topic to talk on, for 2-3 minutes. The examiner asks a few question digging deeper in the topic given in the second part. But before all these sections, there is a session with the examiner where he/she will check your ID and other documents before starting the test. The speaking test is recorded for further reference (like giving remarks if requested). The test score is given by the examiner at the end of the speaking test. The duration and length of your answer is decided upon the examiner who is in total control of the time. Use of fillers, hesitations and silence in between speech are to be avoided as much as possible of higher band scores. Ability to talk at length is an advantage. A greater ability of using synonyms or rephrasing something differently fetches more marks. Using a range of sentence structures like simple, compound and complex and varying your tenses gives the examiner a clear idea of your speaking skills and fetches more marks. Each individual sound and word need to be pronounced correctly. Intonation is also important. This test is divided into four sections: Listening, Speaking, Reading and Writing. In this article, we are going to discuss the IELTS Speaking test pattern in detail. The IELTS Speaking test is about 11-14 minutes long and is conducted through a face to face interview with an IELTS examiner. 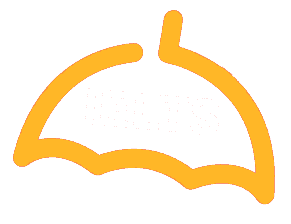 The IELTS Speaking test pattern is designed with the purposes of assessing the test taker’s ability to express his/her ideas efficiently, in an organized manner, grammatically, and without letting his/her accent interfere with intelligibility.